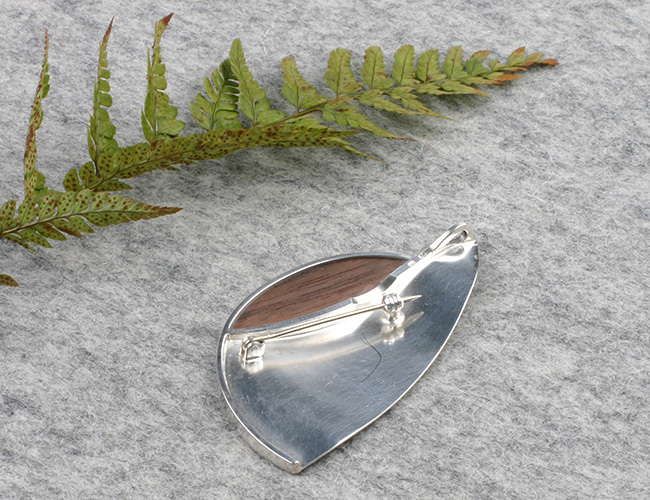 This gorgeous big silver brooch with wood is part of our series “Big Brooches”. 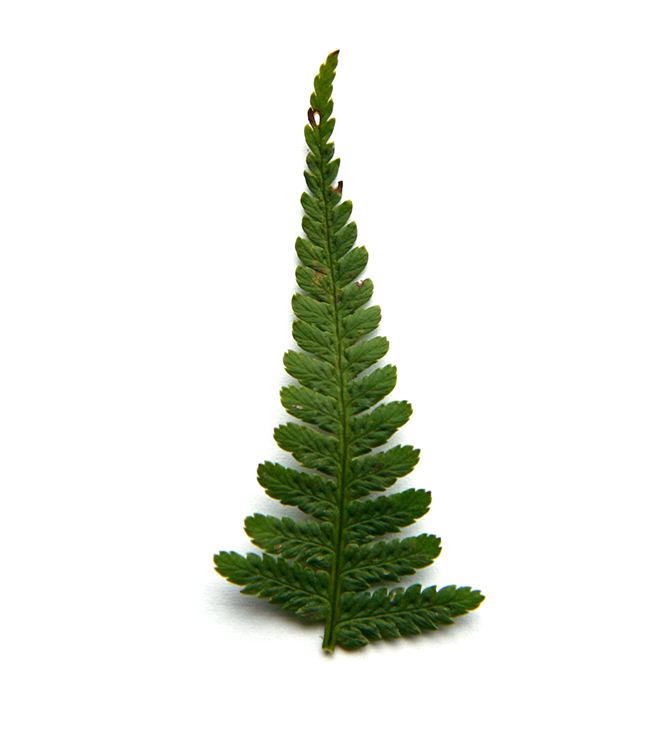 The brooch is called Varen (Fern). Varen is made of silver and cherry wood. 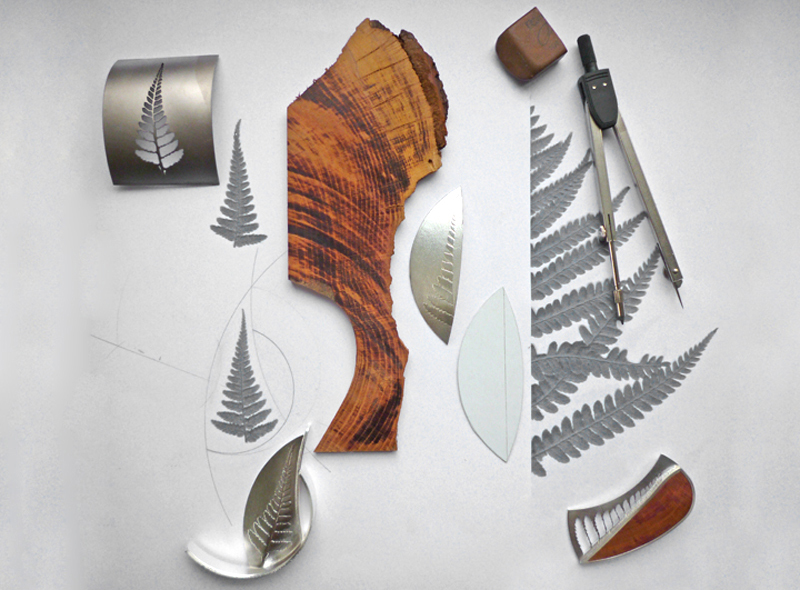 The image in the silver is a imprint of a real fern leaf from our garden. Size of the brooch is: length: 6.5 cm. 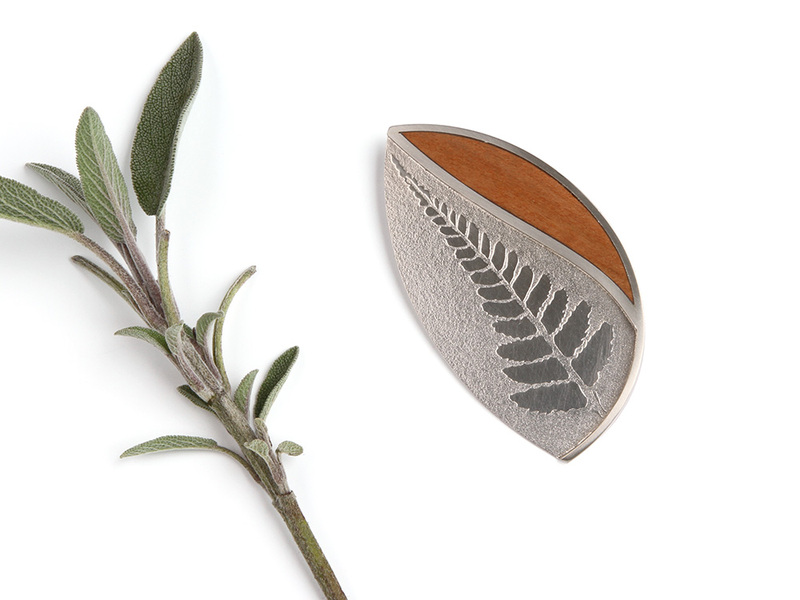 The widest point the brooch measures 3.5 cm. It is best to wear the brooch on a sturdy fabric. 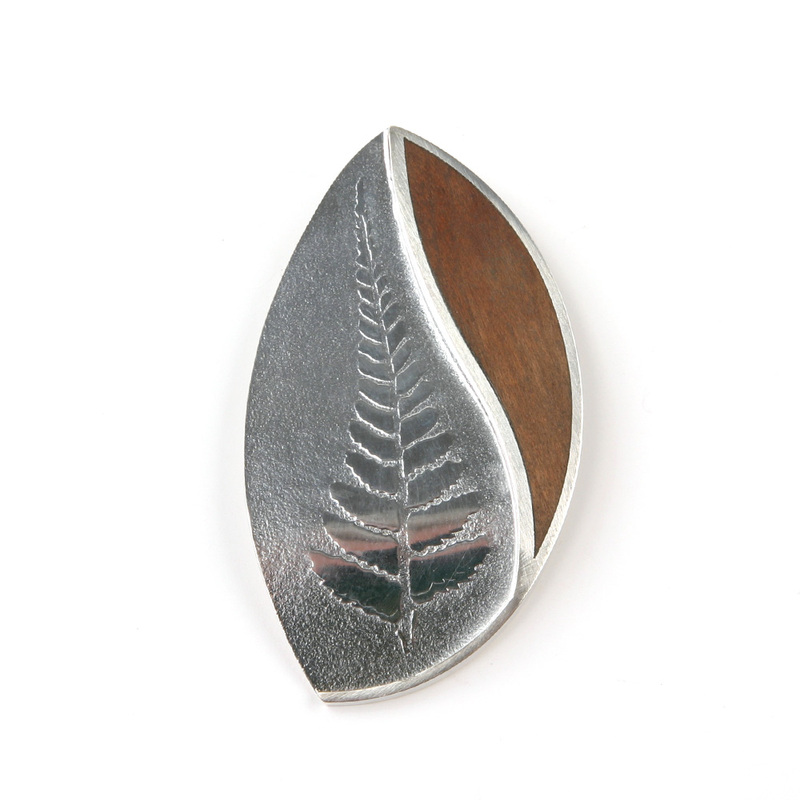 This is brooch number 4 of a series of 5. Since all brooches are individually made by hand, they are all a bit different from one another. 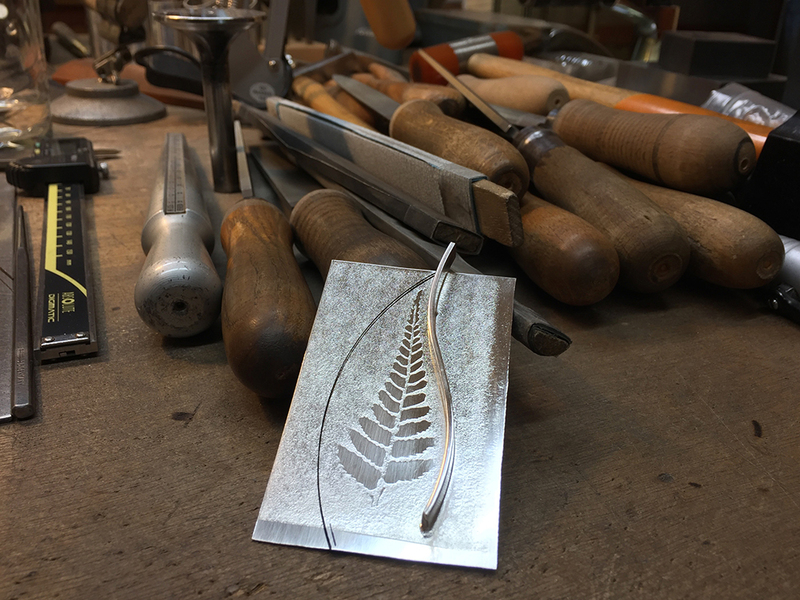 All our jewelry is hand crafted in our atelier in Wijnjewoude, The Netherlands. 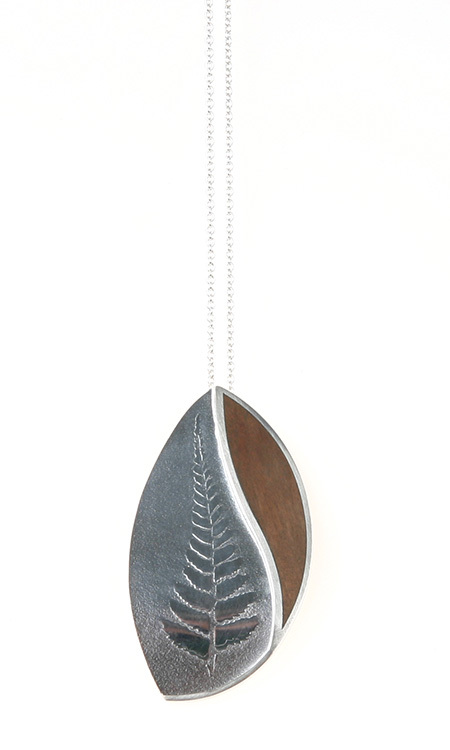 The Fern pendant has arrived. It's beautiful just what I hoped for. Thank you!